The winter season is almost officially over although some of these days feel like it’s going backwards! The winds out here in the National Capital Region are crazy strong today. Thousands of people are without power, trees, large vehicles, and manmade structures are falling, blown down by these 60-70mph gusts. Avoid the ones that bud on old wood though, like rhododendrons. Check the structures of your garden beds as well. If you have a raised bed like a lot of us do here in D.C., then go about replacing the wood, getting new tomato cages, or reinforcing any sides that look like they need it. How are your tools looking? Prep them now by sharpening blades, cleaning off rust, or replacing broken ones that aren’t safe for use any longer. Lastly, map out what you’ll plant and when. I like to use a normal calendar to write down when it’s time to start planting my seeds. Use string or markers like old popsicle sticks to label what you’re planting and to cordon off the areas of different crops. Happy Gardening, For Greener Thumbs readers! 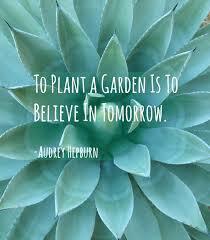 Yes, I can hardly wait to begin my preparation and planting soon. I have few snow peas during winter season and will soon pull them out and cut them to add in to my compost pile. Till garden. add compost dirt and fertilizer for new crops next month after freeze season. I will have to care all pots plants in door first. There are 50 of them in all. Luckily I have loose dirt in big pots outdoor and added fertilizer few weeks ago. Strawberry, blueberry are flowering already this week. I went around outdoor flower bushes, fruits trees to do all the same care every day little by little when the sun is shining. It is good to be out with my garden again in this early spring or late winter.